I have always been a big fan of Derren Brown. I have seen everything he has done. I realise that he’s an “entertainer” and not everything is how it seems. I have just watched Derren Brown’s Apocalypse on catchup TV and I was blown away. It was an amazing show. However, after a little research is seems that the “victim” could be an actor. The rumours have started on Twitter already and it unfortunately looks like a “stooge” may have been used. If these alegations turn out to be true then I will be gutted and will question everything Derren has done in the past. Anyway, on with the screenshots. Lots of people on forums has researched our victim and posted a link to suggest that he was an actor. Pay close attention to the Twitter account link on the screenshot below. 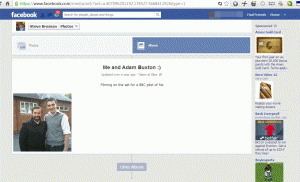 (Edit: This profile has been confirmed as genuine by Steve himself on a YouTube video with Derren Brown). Steve Brosnan on ProfessionalPeople.org. Look at the Twitter username. Click to enlarge. 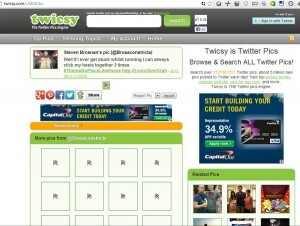 Here is a screenshot of the Twitter account. There is no doubt that this is our man! 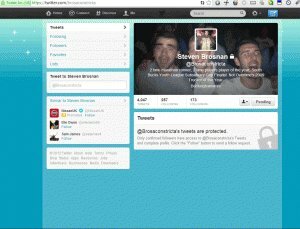 Steve Brosnan’s Twitter account. Click to enlarge. The profile on ProfessionalPeople.org has since been changed. His height, weight, eye colour, hair colour, ethnicity all changed which suggests that they know that they have been rumbled. Again take note of the URL bar and the Twitter account link. Also note the haste of the profile edit. He’s described as “Very Large” but his weight is 7 stone. Steve Brosnan’s profile changed to Craig Harwood. Click to enlarge. If you want further evidence then check out his Facebook page. Filming on the set for a BBC pilot. Steve Brosnan on Facebook. Filming on the set for a BBC pilot. Click to enlarge. UPDATE: The profile on ProfessionalPeople.org has changed again 😀 The Twitter account link has been removed. Profile has changed again! The Twitter Link has now been removed. Click to enlarge. All the above 99.9% confirms what I do not want to hear. Make up your own minds about this. Part 2 should be interesting. The link to his acting profile can be found at http://www.professionalpeople.org/actors/uk/view.php?uid=291520 although I think that this will probably be deleted at some point. Also, here is the “disappearing bottles” scene (continuity error?) that people are talking about. Some people claim that the bottles rolled out of shot due to the ambulance moving. You will notice that the ambulance was not moving. We didn’t suggest that he is a professional actor. This would mean that acting is his full time job. Someone that does acting as a hobby or to make a few extra quid in their spare time is NOT a professional actor. Channel 4 are playing this cool but to use the word “professional” makes a lot of difference to this argument. Many people would not know the difference between an “actor” and a “professional actor”. Derren’s video response on Steve not being an actor. The truth? Denying accusations is not exactly considered to be the “truth”. Do you trust politicians when they deny rumours or allegations? 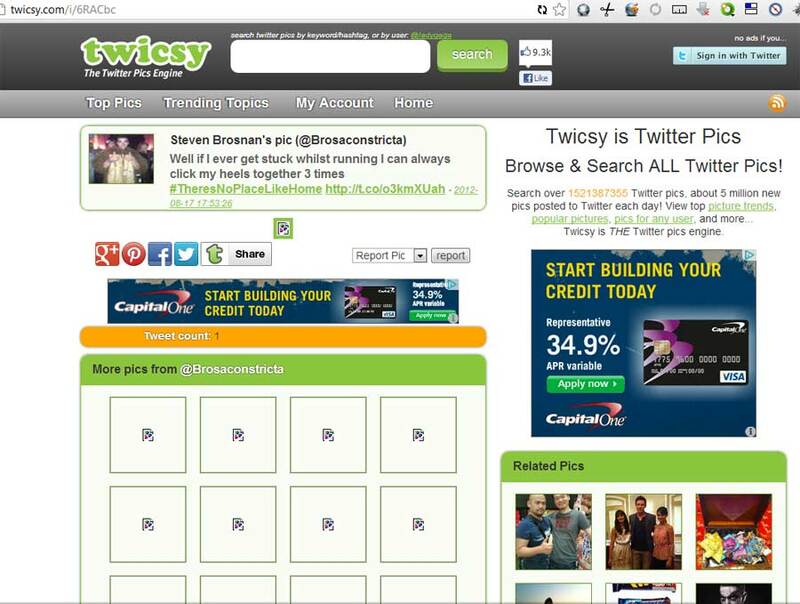 This webpage has been found at twicsy.com (a Twitter search engine) containing a Tweet from Steve Brosnan: http://twicsy.com/i/6RACbc In case it gets deleted, here is a screenshot. There are lots of deleted photos on the page too. Did Steve already know the plot of Apocalypse as far back as the 17th August? A Tweet suggests he did as there are a couple of references to the Wizard of Oz, just like on the show itself. Steve was being taken to a gig on the coach a day before his birthday which is the 1st September. Did Steve Brosnan already know the plot of Apocalypse before filming? Note the Wizard of Oz references and the date of the Tweet. Watch Derren Brown’s Apocalypse – Part 1 & Part 2 online via Youtube. Are you looking for your Netgear Media Server setup CD? I couldn’t find mine either when I needed it. This media player has been discontinued for some time so the software is hard to find online. 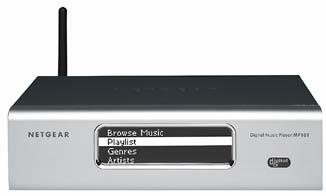 You can download the full setup CD below for your Netgear MP101 Wireless Digital Music Player. The download is in ZIP format and has been virus checked. Riani on Download Intellon Power Packet 5.0 utility here for your Homeplug Network. Riani on My son was not allowed to join the scouts because he’s Atheist. Gazza on Download Intellon Power Packet 5.0 utility here for your Homeplug Network. Scrap the BBC TV Licence. £145.50 per year to fund child abuse, tax avoidance and other dirty secrets. Three (3 Mobile) threaten debt collectors three years after cancelled contract. Download Psion WaveFinder Setup Software and Drivers. Google Chrome using too much bandwidth? My son was not allowed to join the scouts because he’s Atheist. © Grumpy Middle Aged Man.